Mason Estates are delighted to introduce 38 Greentree’s Road to the market. 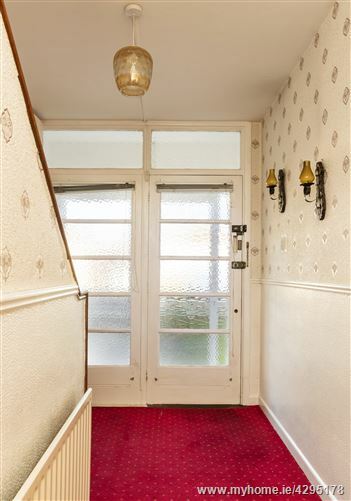 A three-bedroom semi-detached house with garage to the side, large garden to the front with ample off-street parking and a large south west facing walled garden measuring approximately 24m x 9m (78ft x 20ft) to the rear. 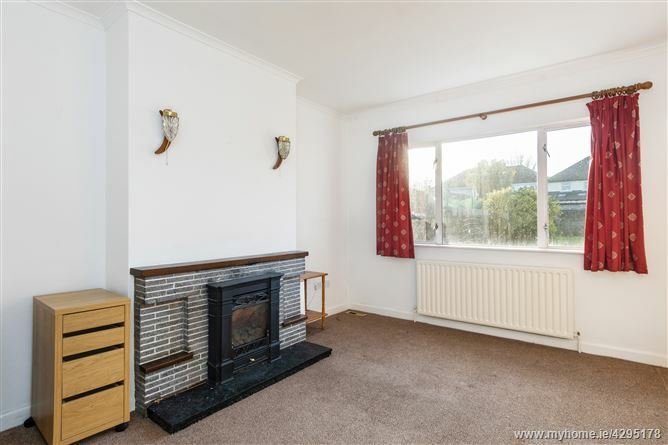 This home has been lovingly cared for and maintained over the years and exudes a solid and spacious feel, providing a wonderful opportunity for its new owners to put their own stamp and create a lovely home with potential to extend if desired. The location is superb with every amenity needed for modern day family life close-by. The accommodation, which extends to approximately 111 sq.m/1,194 sq. 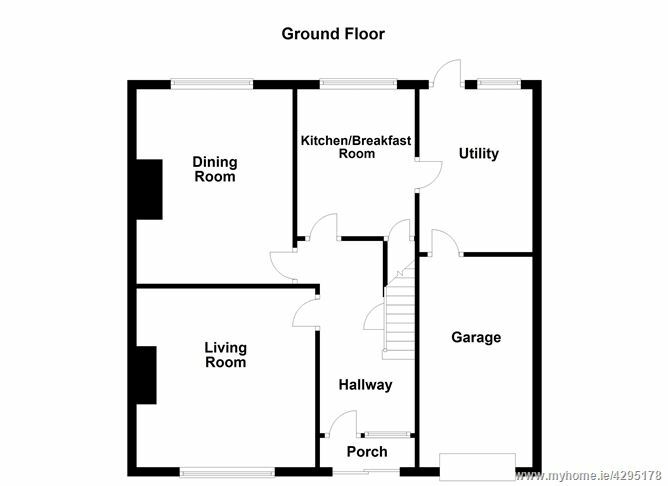 ft., (excluding garage) is laid out with a porch entrance, an entrance hall leading to the living room to the front and a separate dining room to the rear, kitchen with access to the utility room and garage. 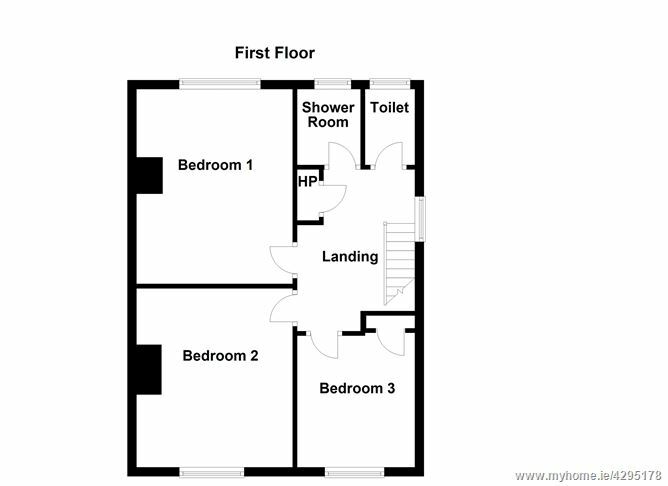 The upstairs accommodation comprises of three bedrooms (two double and one generous single) a shower room and guest WC. 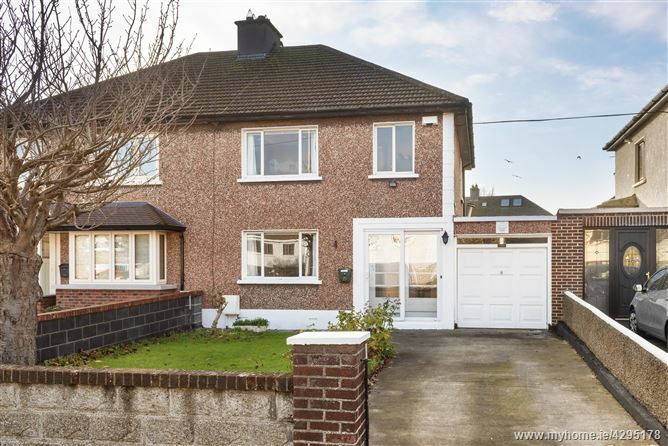 Located on this popular mature road, ideally situated close to an abundance of amenities all within walking distance, including Tymon Park and Bushy Park which are only a short stroll away. There is a selection of respected primary and secondary schools including Bishop Galvin National School, St Pius X, Our Lady\'s Secondary Girls, Templeogue College and Terenure College and a range of shopping facilities all close by, recreational amenities include Spraoi and Ben Dunne Gym and Swimming Pool. There are several bus routes(150/15A/54A) close by providing easy access to the city centre and the M50 network is also only minutes away. •	Easy reach of M50 road network. 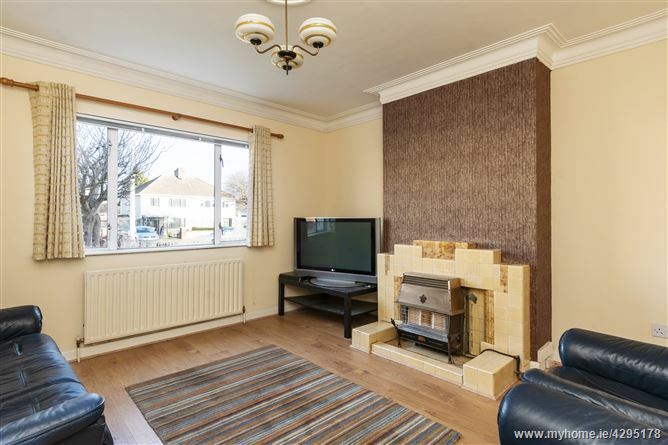 Large room located to the rear with gas fire with brick surround. 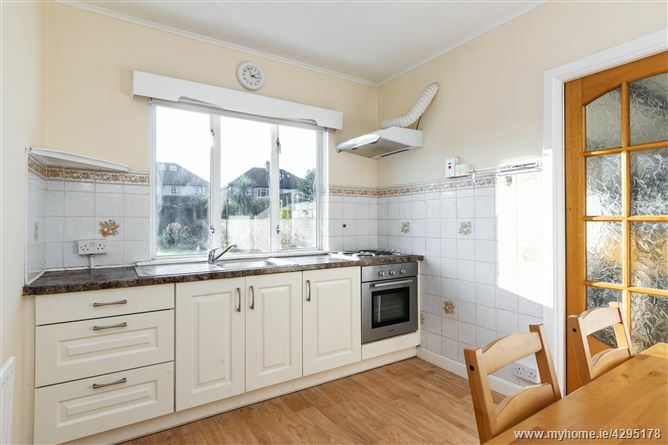 With fitted floor units, larder press, tiled splash-back, stainless steel sink, electric hob/oven. Access from kitchen to ……. Plumbed for washing machine, access to rear garden and garage. 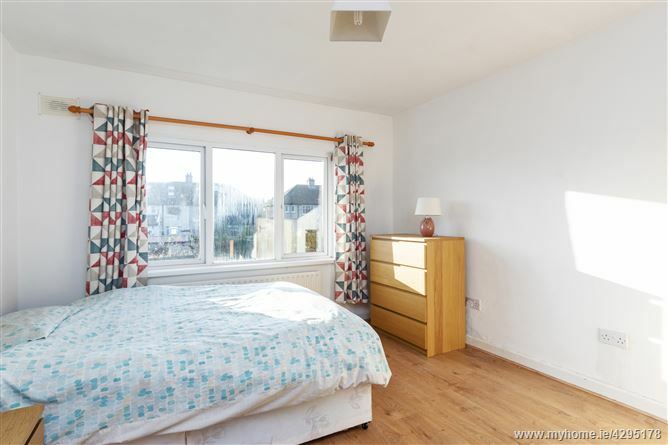 Double bedroom located to the rear with double glazed windows. Generous single bedroom located to the front with storage space. Walled front garden with ample off-street parking. Garage c. 4.61m x 2.48m with up-and-over door. 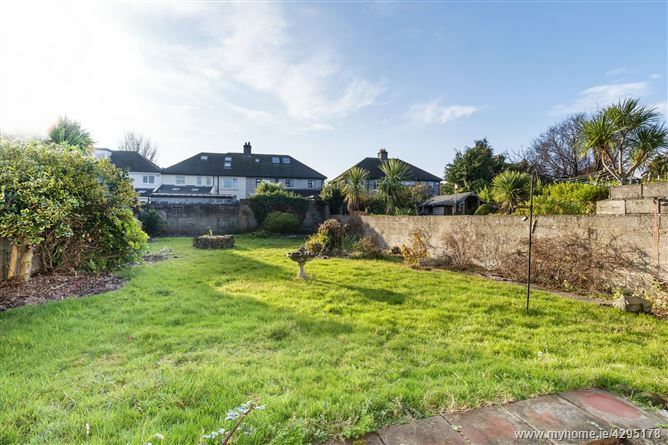 Large south-west facing walled rear garden measuring approx. 24m x 9m (78ft x 20ft) ideal for extending (subject to PP). From the Walkinstown Roundabout travel up St Peters and continue straight for 1.2km. Number 38 Greentree’s Road will be located on your right, identified by a Mason Estates “For Sale” sign. By Appointment with Mason Estates Terenure 01-4909014.